Dishwashers are a great time saver and offer a hygienic method of washing and drying dishes, so it’s easy to see why they’ve been popular in British kitchens for over 30 years. They come in two sizes, full size which are 60cm wide and slim line which are 45cm wide. This offers you the flexibility whether you have a large or small kitchen. When choosing size, another consideration is how many dirty dishes you’re likely to be making – families can make lots more mess that a single person! They are available in white/silver, black or something a little more colourful to brighten-up your kitchen. We offer a selection of built-in or freestanding options. 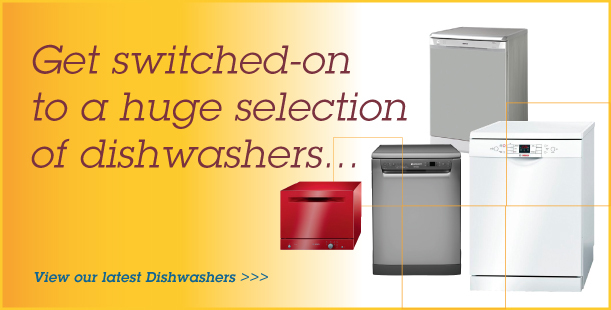 If you’d like more advice on selecting a Dishwasher why not call us or visit our Showroom, we’re always happy to help!